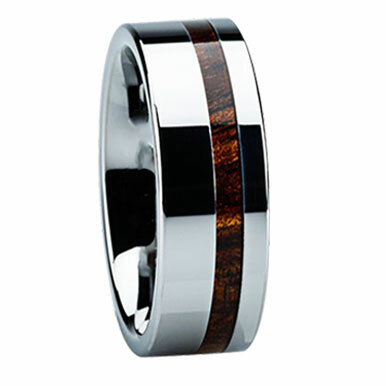 8 mm Tungsten, with 2 mm KOA Wood inlay, and Comfort Fit. 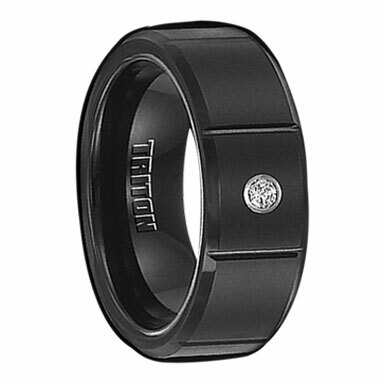 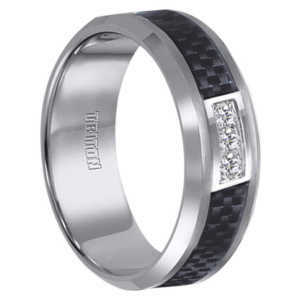 A Patented RING ARMOR has been applied to strengthen and water-proof this stunning finished piece. 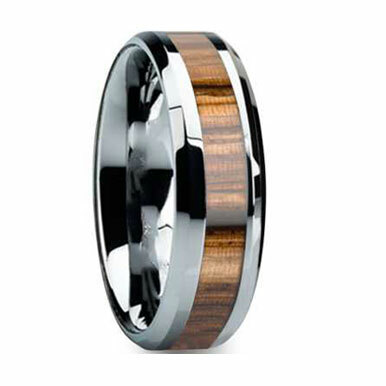 With this application, wood and antler rings have the potential to last a lifetime without unsightly chipping, cracking, breaking, or warping. 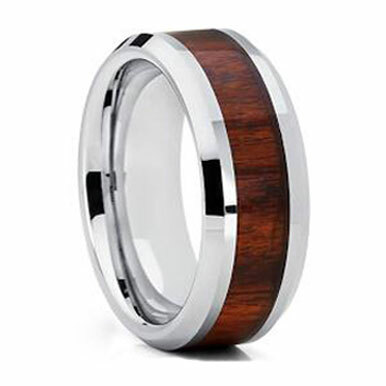 RING ARMOR can also be re-applied for a minimal charge for as long as you own the ring. 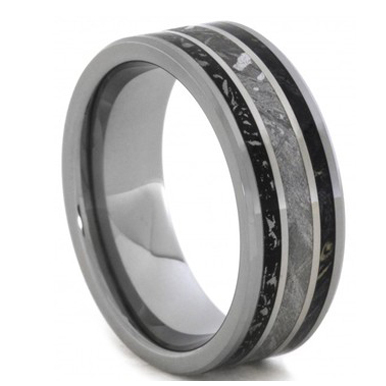 Make sure your custom piece is protected with RING ARMOR!